You will make sure that you eat a balanced and healthy diet each and every day, but what about your dog? Are you sure that the food you feed it on a daily basis is filled with all the important nutrients that it needs in order to stay fit and healthy? Dogs are just like us humans in that they also need a wide range of vitamins and minerals to ensure that their minds and bodies work as well as they should do. And that is especially important once your pet starts to age and their health might start to deteriorate. As long as they are getting all of the best nutrients in their diet, they should be able to overcome most illnesses and health conditions. But what exactly should dogs be eating? Here are some very nutrients that your dog will need. Dogs need protein in their diets just as much as humans do. It’s the basic building block in all life forms, and the body needs it to create new cells and repair current ones. Without enough protein, your pooch simply won’t be able to grow and develop as it should, and it also won’t find it easy to fight off common illnesses. 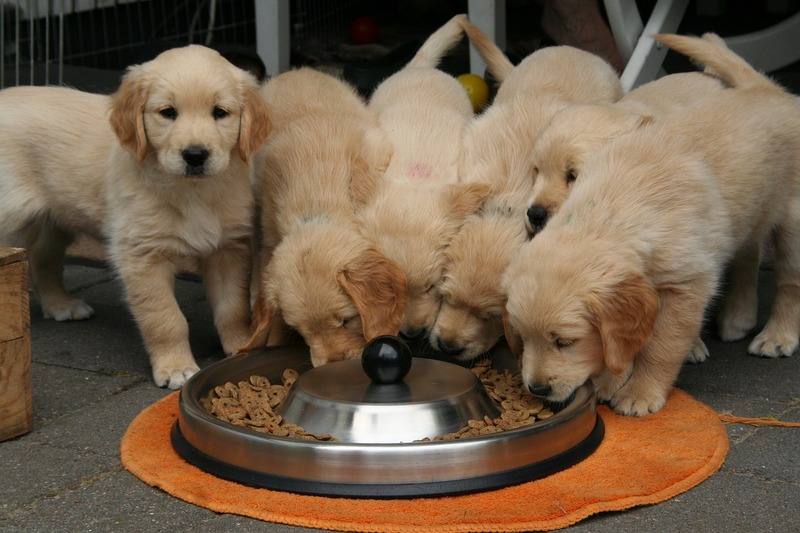 If your dog is a puppy or pregnant, then it will need a very high amount of protein in its diet. If you buy dog food that is age-specific, it should contain the right amount of protein for your hound. In order for your dog to have enough energy for all its walks, you need to make sure that it is eating plenty of carbohydrates. These are what the body uses for instant energy. Protein is also sometimes used for energy, but it is better put to use elsewhere in the body. So, getting enough carbohydrates in your dog’s diet will prevent it depleting its protein sources. Dog-friendly vegetables and grains are all great sources of protein. You can see here that glucosamine is a very important mineral for dogs as it can improve their bone health and help them in their fight against bone conditions such as arthritis. But that isn’t the only one you need to ensure is in your dog’s diet. For instance, your pooch will also need plenty of zinc, iron, potassium, and magnesium to ensure that their body runs as smoothly as possible. If you know that your dog has a specific mineral deficiency, you should be able to find dog food that has been specially fortified with certain minerals. Don’t forget that there are some essential vitamins that your furry friend will need in their diet as well. If you feed your dog plenty of organ-based and plant-based foods, then you can be happy knowing that they should be getting a good range of vitamins every day. So, do you think your pooch is getting enough key nutrients? If not, you might want to speak to your vet about the various ways you can improve their diet. The puppers in the photo at the top of the post, awwwww!! I love educational posts like this, especially with animals involved!!! Great information. I love the pictures! I love the photos. I need puppy cuddles now! These are really great tips – having a healthy diet for dogs is super important!